As Illinois Central College continues its effort to consolidate its existing Downtown Peoria Campus into its North Campus location, the development of Student Services and Adult Education programs at this location became a priority. Additionally, the renovated facility will contain Adult Education classrooms and computer labs along with faculty offices. 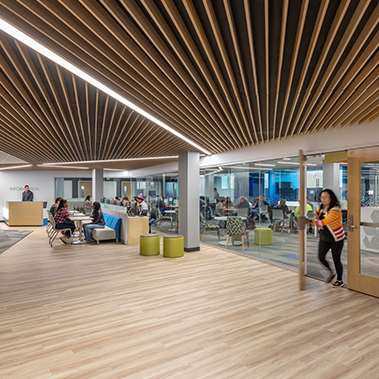 The existing facility was completely demolished down to its existing structure then re-built to meet the College’s current infrastructure standards. 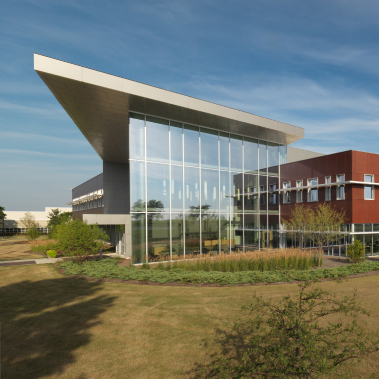 The exterior was re-clad and includes additional glazing to enhance views into and out of the facility.